Vnre.blogspot.com – Ministry of Traffic (MOT) has recently submitted to the Government for investment approval of the new Da Nang – Quang Ngai highway project. According to the proposal, this highway will connect the territory of Da Nang and two other provinces being Quang Nam and Quang Ngai. Currently, the determination of land boundary for project demarcation to hand over to the local authorities of each province that the highway passing has basically completed. In details, the total area of land within for clearance is about 984ha, of which, about 73ha residential land and 451ha agricultural land. According to the proposal that the MOT submitted to the Government, this highway passes through the territory of Da Nang and two other provinces, Quang Nam and Quang Ngai. On the map the highway route lies to the west of national road 1A and the North – South railway, starts at the juncture of national road 1A, south of Da Nang City and ends at the point of connection to national road 11 south of Quang Ngai city and has total length of 139.5 km. The highway is divided to two paths: one that has total length of 131.49 km and the other connecting from Quang Ngai City to the east route that avoids La Ha town of 8.02 km long and is located on national road 1A. With the total investment up to VNS 29,203 billion (equivalent to US$ 1.537 billion), the Da Nang – Quang Ngai high way project is the largest segment of highway connecting north – south of Vietnam. 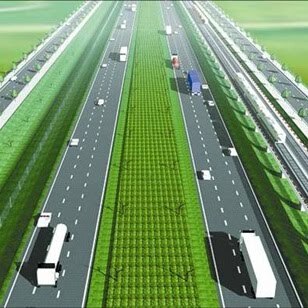 MOT also proposed to the Government for Vietnam Highway Investment and Development Company (VEC) to be the developer of this project with BOO investment method (Build – Operate – Ownership) to facilitate the mobilization of resources from financial institutions in the world to ensure the project high investment capital required. 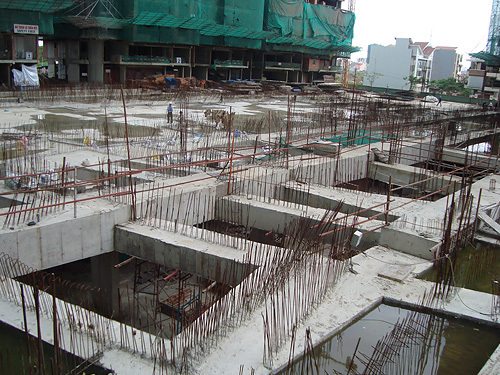 Vnre.blogspot.com – Thu Duc Housing Development Joint Stock Co (coded TDH) has invested 890 billion dong in construction project of Centum Wealth Complex that covers an area of 11,582 square metres in Hiep Phu Ward, Dist 9, HCM City. This complex includes trading centres, high-class apartments, swimming pool, and sport complex with synchronous infrastructure facilities. At present, the company was conducting procedures for establishing Bach Phu Thinh (Centum Wealth) Co Ltd with chartered capital of 178 billion dong, in which TDH contributed 90.79 billion dong and Daewon Co 87.22 billion dong. Vnre.blogspot.com – Vietnam’s apartment market has been oddly quiet for several months. 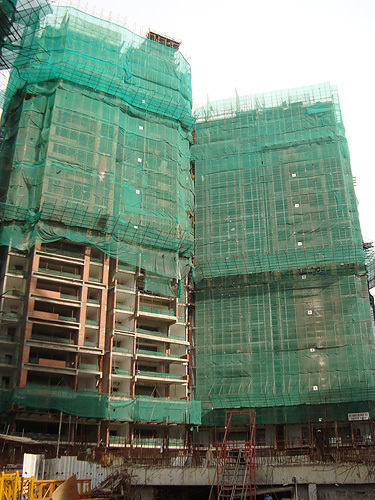 Insiders say that in HCM City, speculators have gone to the sidelines. A number of real estate developers are about to launch medium and low-cost apartment developments into the market. Though demand seems to be weak, the developers think their flats are exactly what people who have real demand for accommodations need. 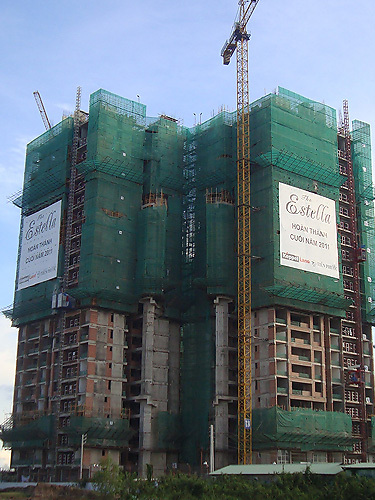 Big real estate dealers in HCM City such as Sacomreal and Vinaland describe the apartment market as stable over the last six months, with no big price fluctuations. 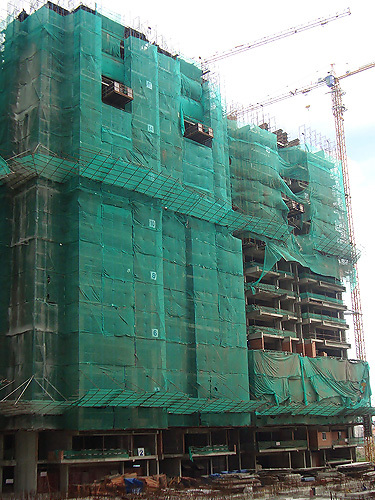 In the second quarter of 2010, at least ten apartment projects went on the market in the southern metropolis. Most of the apartments bear price tags of between 12 and 15 million dong per square metre, a levels that fits the pockets of medium income earners. In Thu Duc District alone, apartments are on offer at a number of projects: My An, Truong Tho, Sun View, Riverside 4S, Hiep Binh Chanh residential quarter and New Tower. However, though many wish to buy low and medium cost apartments, the purchasing power remains very low, according to the real estate dealers. 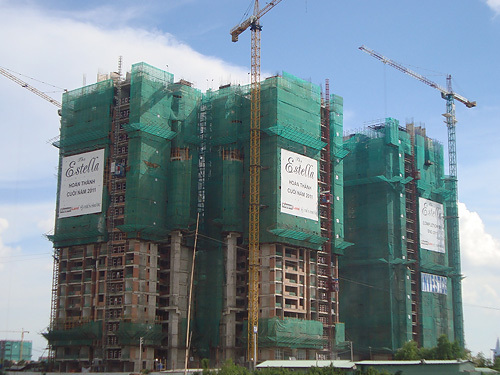 Further upscale, developers of a lot of medium and high class apartment developments recently have had to offer special inducements to clients, including price reductions of up to two million dong per square meter, or eight percent, at the My Duc project in Binh Thanh district. Some developers are giving buyers longer to settle their contracts. Various reasons are cited to explain the quiet housing market. 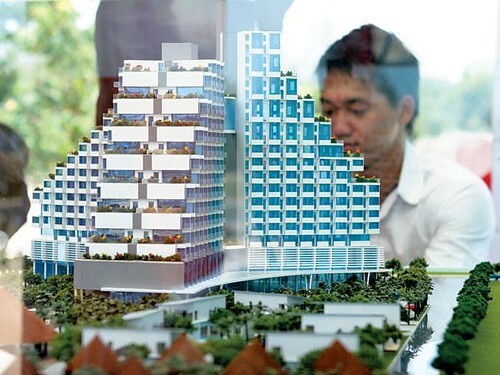 Vinaland’s chairman, Tran Minh Hoang, says that in current circumstances, having to pay personal income tax is a concern for many who have been trading in flats. Moreover, they lack ready sources of capital. The unsalability of apartments can also be explained by the fact that many potential customers have lost confidence in real estate developers. There have been too many lawsuits in the last year. A common complaint is that developers collect advance payments from buyers but fail to implement projects. Because “one rotten apple spoils the barrel,” insiders say, apartments have been selling very slowly. Le Hoang Chau, Chairman of the HCM City Real Estate Association, pins the blame on high lending interest rates. Currently, banks are insisting on getting 18 to 20 percent per annum from people seeking home loans, while charging businessmen only 12.5 to 13 percent per annum. Vnre.blogspot.com – Prime Minister just signed a Decree 71/2010/ND-CP details and guide the implementation of the Housing Law. This Decree takes effect from 08/08/2010 to replace Decree No. 90/2006/ND-CP dated 06/09/2006 of the Government. Objects to be applied as organizations and individuals at home and abroad; foreigner investing in housing development in Vietnam; organization and individual owns houses, use houses and participate in housing transactions in Vietnam; the appraratus of the state at all levels of housing areas; organization or individual not belong to cases above but whose activities related to housing sector. This Decree shall come into life, the Vietnamese residing abroad are facilitated more if they want to buy houses in Vietnam. The duration of home ownership of Overseas Vietnamese are stable, long-term. Accordingly, Overseas Vietnamese have right to own home ownership in Vietnam if they have Vietnam citizenship, the original Vietnamese operate on direct investment avtivities in Vietnam under the investment law; persons have contributed to the country, scientists, culturist, who have special skills that agencies and organizations of Vietnam needs and working in Vietnam; persons have spouses who are Vietnam citizen live in the country. Or persons are Vietnam agencies issued visa and permitted to reside in Vietnam for three months, they have right to own a single house or an apartment for themself and family living in Vietnam. These subjects can buy houses in Vietnam unlimited number and type of housing through purchase or receive donated, inherited or received on housing transfer land use rights in the project housing development of real estate company. Although there are many advantages to Overseas Vietnamese who wish to buy house in Vietnam but also decree made many sanction if these objects infringe. Accordingly, if the Vietnamese residing in foreign countries have forged paperwork or other violations to own more than one house in Vietnam will not be issued a certificate home ownership with there property. If the certificate has been granted ownership, the house must be sold within 120 days from violations detected. After the time-limit property will be revoked certificates for home ownership has been granted, the house has not sold under the ownership of the State of Vietnam. 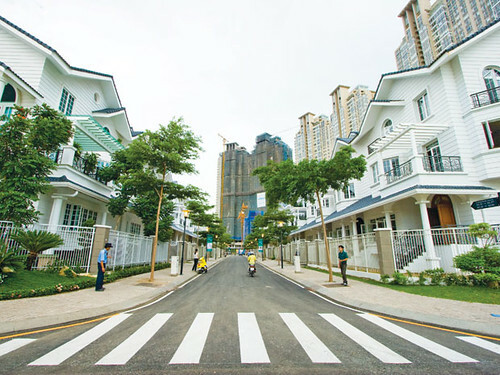 In addition content related to housing for overseas Vietnamese, Decree 71 also detailed regulations on ownership, management and use of housing, including apartments, villas in urban; housing transactions; rights own houses in Vietnam for Vietnamese settled in foreign and organizations, foreigner individual, the state management of housing. Vnre.blogspot.com – Cushman & Wakefield (C&W) – represents for diversified clients from companies to large corporations are ranked 500 biggest companies by Fortune announces, officially become distributor highclass products at Sunrise City of Novaland. 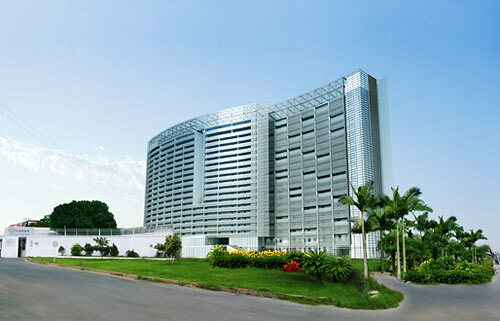 – On June 29, Binh Duong Business and Development Corporation (stock code: TDC) commissioned MyLand real estate exchange at Prime Building, No.107-109 Nguyen Dinh Chieu Street, District 3 – HCMC. At the same day, the TDC showed land products of the Moon River village villa project belongs to Thoi Hoa ecological urban (My Phuoc 4, Ben Cat District, Binh Duong Province). 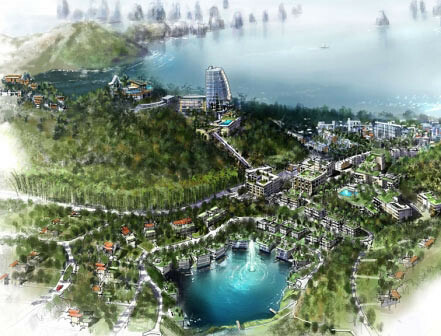 Moon River village eco-villa project has a total area of 10ha, divided into different sub-zones such as semi-houses, double villas, single villa… flexible area from 145-495m ², price only from 1.8 millions VND per m².